Dolph Lundgren once cited his ex-wife as his best friend. Despite having an enviable girlfriend, he maintained a healthy communication with his ex-wife. The 60-year-old actor is best known for his action-packed movies in the 80s and 90s. His incredibly ripped body made him an indispensable part of actions genre movies in the last two decades of the 20th century. The Swedish national was the European champion in Karate for the year 1980-81. His karate exertions added to his hunky frame made him a big yes in the fashion world and started as a model. However, he worked double shifts as a nightclub bouncer to make ends meet. And it was during his bouncer days he met actress Grace Jones. Initially, Dolph handled Grace's security details and later became her lover and the couple dated for four years in the mid-80s. Whats more, his movie career started after he was recommended for a small role in 1895 James Bond movie, A View to a Kill. And his career soared to the next level after playing Soviet boxer Ivan Drago in Sylvester Stallone's acclaimed action-packed movie franchise Rocky. His imposing height of 6 feet and 5 inches and a weight of 115 kgs, along with a black belt in Karate made him a suitable candidate for action roles and possessed more than 40 movie credits to his name mainly in the action genre. He has also flirted in the directorial chair and has directed more than ten small budget movies. He was also a part of the most expensively assembled action cast movie, The Expendables, along with the most significant names in Hollywood including Sylvester Stallone, Jason Statham, Arnold Swargenneger and Jet Li. He has appeared in all three Expendables movies and has signed off for the fourth installment set to hit the theatres in 2020. Today, the actor is a preacher of physical fitness and advocates against the use of steroids whose use is rife in the bodybuilding scene. He looks entirely fit today as he did when he fought against Sylvester Stallone in Rocky IV and credited his well-toned body to his healthy eating habits and regular gym sessions. His time in Hollywood has been fruitful economically too and has been a part of movies which turned out to be huge commercial hits. His net worth of $15 million reflects the success he has had in his career. Born on 3 November 1957, Dolph has a degree in chemical engineering from the Royal Institute of Technology. However, owing to his expertise in martial arts and a physique to match, he was inspired by Grace Jones to try in Hollywood, which led to the spectacular result. After dating his inspiration in chief, Grace for four years in the 80s, he was involved in a romantic relationship with American model Paula Barbieri. However, he seemed to have settled for good after getting married to fashion designer Anette Qviberg in 1994. The husband-wife duo expanded their family after having two kids, both daughters Ida and Greta. His marriage however ended in divorce in 2011. After his divorce from his wife, he found himself a girlfriend Jenny Sanderson, who worked as his hair stylist. Despite rumors about the couple being engaged, there has been no confirmation from both the parties. The actor is very vocal about showing his love for his girlfriend, and she features heavily on his Insta wall. Whether that be showing the support for Philadelphia Flyers or trying the new Aston Martin, the girlfriend-boyfriend duo is always together. Despite having been long time divorced, Dolph enjoys an amicable relationship with ex-wife Anette. In 2010, a year before their divorce, he called his wife his best friend. He acknowledged that physical attraction was only for a short time, and the emotional part of a relationship was what made the relation strong. And the actor has heeded his own words and always maintained a friendly relationship with his wife. The couple has been snapped together attending various events together despite their divorce. What's more, they estranged husband and wife were pictured having a good time together in Marbella beach, the place of their wedding in 2017. The connecting link between the couples has been their daughters. Dolph, in many instances, has reiterated that his daughters have helped him open up as he was very self-centered in his early days. The actor in return has provided his daughters with all the love and support and has even helped in their dating life. What is Dolph Lundgren Doing Today in 2018? Not much is known about his love life in recent days but besides romance, he is more in the news today for his new roles. It felt really surreal, and, at the same time, it felt like a big moment for me in my career as a person, because that character started my whole career and it’s been a great thing for me. But it’s also kind of been negative in one way because the guy was such a monosyllabic guy. He is also starring in the most awaited DC comic based movie Aquaman alongside famous stars like Jason Mamoa, Nicole Kidman, Amber Heard. The movies initial release date is on 21 December 2018. 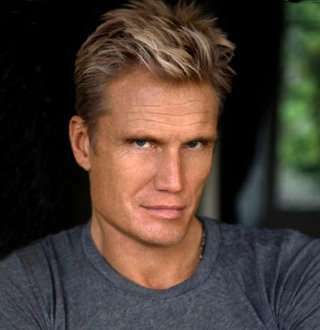 In the movie, Dolph Lundgren plays the role of Nereus, an Atlantean king, and father of Aquaman's love interest Mera. Besides that, he has more on-screen projects on his hand for 2019 as well. He is set to star in the movie The Tracker as Aiden Hakansson, Pups Alone: A Christmas Peril, and Hard Night Falling as Michael Anderson. Shannon Beador After Divorce With Husband, Dating New Boyfriend - Who? Lindsay Arnold Meeting Husband At Age 16; Dating To Wedding - A Journey! Betsy Sodaro Is Getting Married! How Did Husband-To-Be Propose?